As well as providing the structural frame, concrete can be used to improve the overall performance of the building. 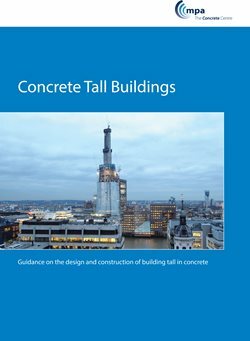 The following give an indication of the many benefits of using concrete for an high-rise residential building. Concrete’s inherent qualities make it good for acoustic performance. It is a good sound insulator, even when the source of the sound is impact on the concrete itself. Tests have shown that concrete can make a major contribution to the sound attenuation required to meet Building Regulations, minimising or even eliminating additional finishes. A concrete structure has high thermal mass. Exposed soffits allow fabric energy storage (FES), regulating temperature swings. This can reduce initial plant costs and ongoing operational costs, while converting plant space to usable space. With the outlook of increasingly hot summers, it makes sense to choose a material that reduces the requirement for energy intensive, high maintenance air-conditioning. All the Building Regulations in the UK require pre-completion pressure testing to demonstrate airtightness (Part L in England and Wales, Section 6 in Scotland and Part F in Northern Ireland). Failing these tests means a time consuming process of inspecting joints and interfaces, resealing where necessary. Concrete edge details are simpler to seal, with less failure risk. Some contractors have switched to concrete frames on this criterion alone. Post-tensioning is a method of prestressing that offers the thinnest slab type, as concrete is worked to its strengths, mostly being kept in compression. Longer spans can be achieved due to prestress, which can also be used to control deflections. 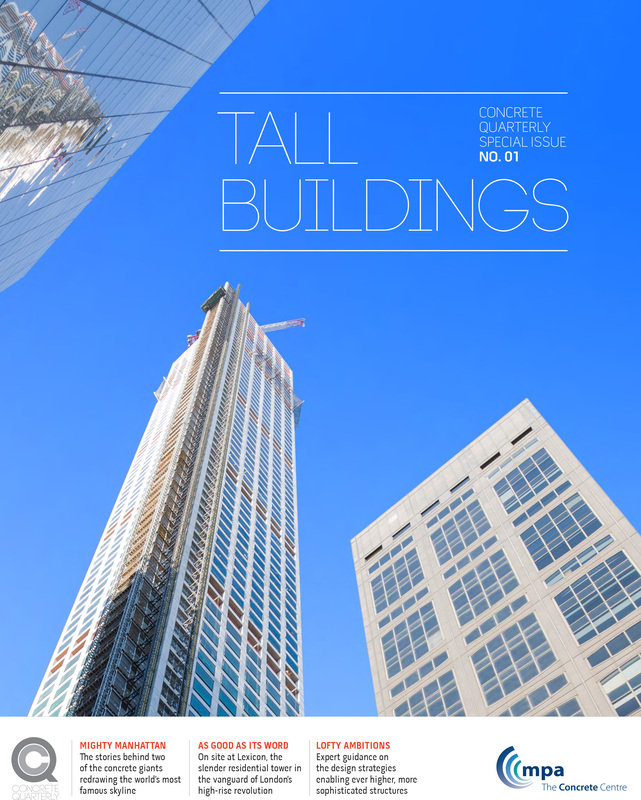 A Concrete Quarterly Special Issue on Tall Buildings. Articles include: Lexicon, London, One World Trade Center, US, 240 Blackfriars and 432 Park Avenue, US. Published autumn 2015.